Anheuser-Busch InBev is like every year taking the Super Bowl very seriously. The beer maker will again have a massive Super Bowl ad line-up, which is not confirmed yet but very likely. 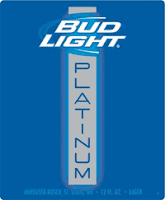 Bud Light is returning also to the Super Bowl 2012 in February for the third annual Bud Light Hotel, a complete rebranding of a downtown Indianapolis hotel that will host the best parties, concerts and events leading up to Super Bowl XLVI. For it, the brand is launching an exclusive job offer among Bud Light Facebook fans. Mark Sanchez, Rex Ryan, and the New York Jets are staring in a new Pepsi Max TV commercial to premiere this Saturday. Pepsi will also advertise at the Super Bowl 2012. One of the Pepsi Ads will feature the X Factor winner. If the other Pepsi ad is in context of this new Pepsi Max ad remains to be seen. The 30-second spot entitled “Locker Room” portrays the New York Jets in their natural environment - the home team locker room at half-time. However the team is losing and head coach Rex Ryan bursts into one of his patented tirades as his players hang their heads in shame and dissolution. The Toyota Super Bowl 2012 Ads will promote the all-new 2012 Camry. Toyota will air two Super Bowl 2012 commercials and also feature the Toyota Halftime report. Toyota is betting big on the 2012 Camry, which is America’s best-selling car for nine years running and 13 of the past 14 years. Toyota has created its most technologically advanced Camry ever—a car that keeps up with American drivers’ 21st century lifestyle. The 2012 Camry debuts a bold, sophisticated new design with a more spacious and refined interior, improved driving dynamics, class-leading fuel economy and a level of safety features unmatched in the segment. Funny Toyota Super Bowl 2012 Ad has been published. The Super Bowl 2012 Ads are published online. You can watch all Super Bowl commercials here as soon as they are published. Our Super Bowl Ads can also be watched on the Apple iPhone and the Apple iPad and other smartphones and tablets. Watch the 2012 Super Bowl Ads now below in our Super Bowl video gallery. Click the Watch All 2012 Super Bowl Ads link to start the video gallery or access Super Bowl 2012 commercials directly via the complete index below. The Super Bowl 2012 is only six weeks away. We still do not know which teams will play on February 5, but the line-up of Super Bowl 2012 Advertisers is already materializing. We have already reported on Super Bowl Ads for Geeks about the official announcements of Super Bowl XLVI Ads and here you find the complete list of who is advertising during the Super Bowl 2012. There are many familiar companies that keep advertising year after year at the Super Bowl despite the high cost of about $3 million for 30 seconds. The list of 2012 Super Bowl advertisers also has some new names like Dannon and Century 21. We will continue to update the list of which companies will advertise in the Super Bowl 2012 until the Big Game. Of course Super Bowl Ads for Geeks will also publish all Super Bowl Ads online as soon as they are released. For the first time ever the Super Bowl will be streamed online. NBC reached a deal with the NFL to stream the big game on February 5th online. The Super Bowl 2012 will be streamed online at NBCSports.com and NFL.com through SNF Extra, which features an HD broadcast, DVR-style controls, additional camera angles, in-game highlights, live statistics and interactive elements. Read the details and requirements to watch the free Super Bowl 2012 video stream online. 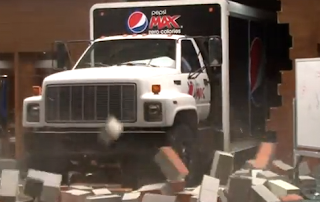 Pepsi announced today to run two Super Bowl Ads at the Super Bowl XLVI. The two commercials planned for the 2012 Super Bowl include an iconic Pepsi spot featuring the winner of this season's THE X FACTOR. Pepsi will complement the TV spots with a 360-degree activation that includes innovative digital and retail extensions as well as on-site activities in Indianapolis, the site of Super Bowl XLVI. "The Super Bowl is a defining moment in American culture and we're excited to be back in a big way in front of more than 100 million viewers," said Simon Lowden, CMO, PepsiCo Beverages Corporation. "Pepsi has a legacy of unforgettable Super Bowl advertising and this year we're taking it to the next level by featuring the winner of THE X FACTOR and some other famous faces in a Pepsi commercial." 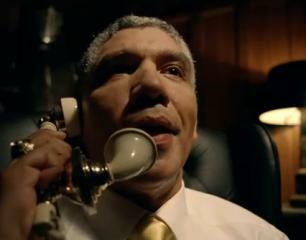 As reported Go Daddy will be back with two Super Bowl Ads in 2012. Today Go Daddy revealed details about one of their Super Bowl 2012 Ads. For the first time ever, Go Daddy is using one of its two edgy new Super Bowl commercials to specifically reference its cloud-based offerings. Go Daddy has long delivered services "in the cloud" -- providing individuals and businesses more efficient and less expensive online options. Now, it's taking its product marketing to Super Bowl viewers with fun references to Go Daddy's innovative offerings such as 4th Generation Hosting, known as 4GH. 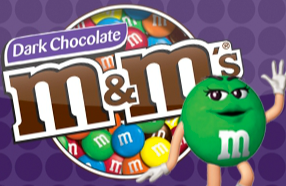 Mars Chocolate North America announced to run a M&M’S Super Bowl 2012 Ad. M&M's will be featured in an all-new 30-second commercial during the first quarter of Super Bowl XLVI on February 5, 2012. This will mark the second trip to the Super Bowl for the chocolate candy brand. M&M’S will step into a starting role in Super Bowl XLVI instead of SNICKERS Brand, which has enjoyed back-to-back success through the “You’re Not You When You’re Hungry” campaign. The Betty White staring Snickers Super Bowl Ad from 2010 has become a classic. The 2011 Snickers Super Bowl Ad was good too, but was not as unique and entertaining. Volkswagen announced that the VW Super Bowl 2012 Ad will feature the 2012 Beetle. Following the success of last year’s two 30- second spots, Volkswagen will premiere one 60-second spot at the beginning of the third quarter of Super Bowl XLVI. Volkswagen landed last year the funniest Super Bowl 2011 Ad with the Star Wars inspired Passat commercial. Volkswagen also teased the back then unreleased 2012 Beetle with a cool animated ad. You can watch the Black Beetle ad below again. Volkswagen released hilarious Star Wars themed VW Super Bowl 2012 Ad teaser video. 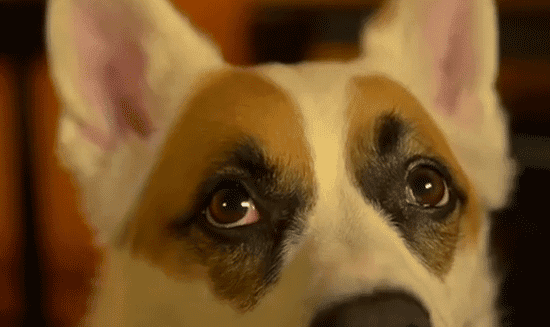 The video shows a dog chorus interpreting the Star Wars Theme. The Volkswagen Super Bowl 2012 Ad will feature the all-new Beetle, which arrived in dealerships in September. The 2012 Beetle was teased as a silhouette in last year’s advertisement, but the iconic redesign is now ready for its Super Bowl close-up. “Volkswagen is excited to showcase the all-new 2012 Beetle on football’s biggest stage. 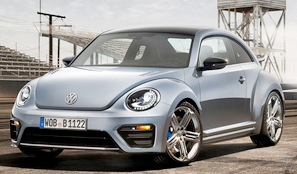 The Super Bowl is the perfect platform to feature the bold, dynamic, and sportiest Beetle ever made,” said Tim Mahoney, Chief Product and Marketing Officer, Volkswagen of America, Inc.
CBS and NFL reached a new nine-year broadcast agreement. In the new deal, CBS Sports remains the broadcast home of the NFL's American Football Conference (AFC). In addition, as part of the NFL's expanded "flexible scheduling," CBS will also broadcast games from the National Football Conference (NFC). This will be the first time CBS will broadcast AFC and NFC match-ups in the same season. CBS will broadcast Super Bowl L in 2016, Super Bowl LIII in 2019 and Super Bowl LVI in 2022, in addition to Super Bowl XLVII in New Orleans in 2013. At the Super Bowl 2011 there have been several stand-out car commercials. Just remember the Volkswagen Super Bowl ad staring the pint-sized Darth Vader or the already legendary extra long Chrysler Eminem Ad. Both ads raised the bar for car companies for ads in the big game. The Volkswagen ad had tremendous impact on brand awareness and sales according to a report on BusinessWeek. A feat that for instance Hyundai would like to achieve during the Super Bowl 2012 with their new ads. The success of some of the 2011 Super Bowl Car commercials increases the pressure to air even better ads at the Super Bowl XLVI. Clint Eastwood supposed to be in 2 minute Chrysler Super Bowl 2012 Ad. 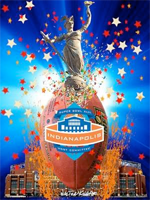 The official Super Bowl XLVI Poster has been unveiled by the 2012 Indianapolis Super Bowl Host Committee. World-renowned Indiana artist Walter Knabe designed the poster. The Cultural and Arts Programs committee of the Host Committee selected the poster design. "We are proud to announce local artist Walter Knabe as the artist of the Host Committee's commemorative poster," said Allison Melangton, President and Chief Executive Officer of the 2012 Super Bowl Host Committee. "The poster highlights our impressive local talent and honors the commitment and excitement of the city as a host." Want to be at the Super Bowl 2012 in Indianapolis on February 5, 2012 and cannot afford the ticket and trip? Papa John's Pizza offers a chance to win a Trip to the Super Bowl XLVI. The giveaway runs until December 25. To get a chance on winning a trip you need to enroll in the Papa Rewards program. The Papa Rewards earns you points that you can use for free pizza. Every $5 spent online earn 1 Papa Reward Point. 25 points get you a free pizza. More details about this Super Bowl XLVI Giveaway can be found here. Call your buddy at the Rolling Stone Magazine now. The music magazine hooks up with Bacardi to host major Super Bowl XLVI bashes in Indianapolis in February 2012. According tot the IndyStar, Rolling Stone magazine has decided Indianapolis is the place to throw its first big-time Super Bowl bash. Bacardi is celebrating its 150th anniversary in 2012 - really? Those hot chicks in the commercials are that old? The Cars.com Super Bowl 2012 Ad already got confirmed by Cars.com back in October. Cars.com is an online service for buying and selling new and used vehicles. The company is returning to Super Bowl Sunday for the fifth consecutive year. With one 30-second commercial during the third quarter, Cars.com will again be positioned alongside some of the most recognizable brands in the world. "Advertising during the largest television event of the year has been a successful awareness-building strategy for us over the last four years," said Mitch Golub, president of Cars.com. "We see this year's commercial as another important investment in our brand, translating the enormous audience into new Cars.com customers and opportunities for advertisers." The Cars.com Super Bowl XLVI Ad will add to its ‘Confidence' campaign. The new Super Bowl commercial will focus on the site's resources available to car shoppers to help them choose the perfect car at the perfect price - including expert and consumer vehicle reviews, consumer dealer reviews, comparison tools and pricing guides. DDB Chicago, the site's advertising agency of record, will develop the spot. Best Buy will advertise again in the Super Bowl. The Best Buy Super Bowl 2012 Ad will be the second for the consumer electronics company. 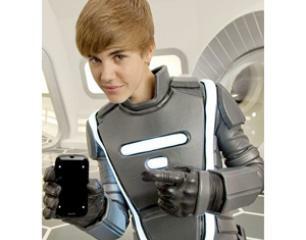 Best Buy raised quite a stir with hiring Justin Bieber and Ozzy Osbourne for their debut Super Bowl Ad. You can watch the Best Buy Super Bowl 2011 Ad below. According to AdAge Best Buy is again introducing a new product or service launch. Last year Best Buy promoted the Buy Back program. More details about the Best Buy Super Bowl 2012 Ad. First details of the Best Buy Super Bowl 2012 Ad surfaced. Best Buy has not unveiled anything about their Super Bowl 2012 Ad. Will Bieber be back? Maybe. He is just has a huge following and Best Buy can benefit from the constant Bieber buzz. I recommend to partner up Bieber with a hot lady and leave Ozzy in the closet this time. Audi will be again advertising during the Super Bowl. The Audi commercial in Super Bowl XLVI will be the fifth in a row for the german car maker, who just announced a stunning November in terms of sales. Audi sales have been up 28% in November world-wide. The main driving forces behind this success were continued strong growth in China and a renewed pick-up in business in Germany. In its European export markets, Audi also achieved largely two-digit growth rates. Year to date, AUDI AG sold around 1,193,100 cars through the end of November – which puts the company well on course to reach its stated sales target of 1.3 million units. Audi Super Bowl 2012 Ad has been released. Watch it Now. Audi has confirmed the Audi Super Bowl 2012 Ad already end of November. 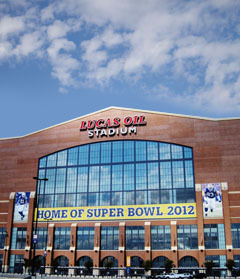 Here is your free entry to the Super Bowl 2012 in the Lucas Oil Stadium in Indianapolis on February 5th, 2012. The producers of the 2012 Super Bowl halftime show look for 500 volunteers for the halftime show stage crew. As reported Madonna will perform the Super Bowl halftime show accompanied by Cirque du Soleil. The multimedia show comes from Momentum Factory. Working in the stage crew should be fun, unless you are sitting inside a box during the whole show and only come out at the end letting a balloon fly. The Super Bowl is a huge event not just on TV. The experience of being in the Super Bowl Stadium to watch the game is the dream of many Americans. The NFL accommodates that dream with a variety of offerings. To make fans comfortable at the Big Game and make sure some of the short comings of last year do not happen the NFL hired the Disney Institute to train 20,000 staffers. The Lucas Oil Stadium in Indianapolis, home of the 2012 Super Bowl has normally 63,000 seats. For Super Bowl XLVI the capacity will be increased to 70,000 seats. Last year some of those temporary seats have not been ready, which resulted in some chaos and bodged Super Bowl experiences for some fans according to Game On. This seats issue is also supposed not to happen in 2012. Are you going to the Super Bowl 2012? Century 21 plans to run a Super Bowl Ad. According to Ad Age Century 21 has not run any TV ad for the last two years. The Century 21 Super Bowl 2012 Ad will be the big come back of the real-estate franchise company. The Century 21 Super Bowl commercial will air in the 3rd quarter. Century 21 is already try to start the buzz on their blog with some videos about Operation Century 21 Super Bowl. One of their employees named Steve Daingerfield is on a mission to find out what the Century 21 Super Bowl Ad is all about. Watch the videos below. The Century 21 Super Bowl commercial is released. Watch the ad staring Donald Trump now. On of the Doritos Crash the Super Bowl Ad titled Good Doggie features a dog named Sasha. According to a press-release from Endi Entertainment, the makers of the Good Doggie ad, Sasha is a rescued animal shelter dog. The Good Doggie spot is under the top 10 most viewed Doritos Crash the Super Bowl Ads and has a chance to be selected to be under the best five that will be put up for public vote on January 4th. Sasha has already enough popularity to be the new "spokes dog" for Save a Dog Day. You can watch Sasha in the Good Doggie Doritos Ad submission below. We already reviewed the best Doritos Crash The Super Bowl Ad submissions in this report. There are still three month until the Super Bowl 2012 takes place in Indianapolis. Besides the game the major attraction are of course the Super Bowl Ads. Let's have a look at some of the best and funniest Super Bowl Ads of 2011. 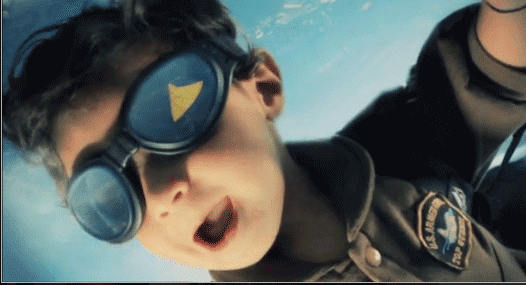 Here we feature the best Super Bowl Ad of 2011 according to us and many critics. 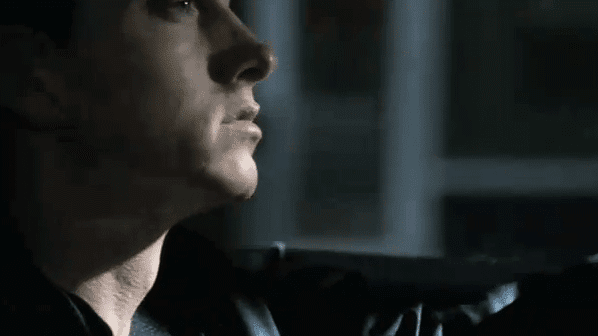 The epic Chrysler Super Bowl Ad featuring Eminem is pure emotion. It is a bold statement for Detroit and a hymn for the American Dream. The 120 second long Chrysler Ad did not rank in the top positions in the USA Today Admeter, but it created a lot of buzz for Chrysler. Watch our pick for the best Super Bowl Ad of 2011 below. There are still three month until the Super Bowl 2012 takes place in Indianapolis. Besides the game the major attraction are of course the Super Bowl Ads. Let's have a look at some of the best and funniest Super Bowl Ads of 2011. Here we feature the funniest Super Bowl Ad of 2011. It is also the Super Bowl 2011 Ad with the most Youtube views. The counter is currently at over 44 million views. 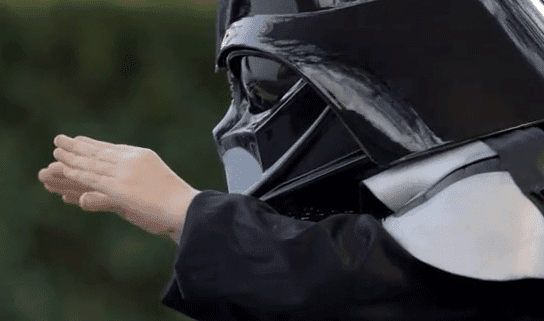 The Volkswagen Super Bowl ad features a pint-sized Darth Vader who uses the Force when he discovers the all-new 2012 Passat in the driveway. It leverages humor and the Star Wars score make this ad a true master piece. For some reason it did not make the top rank on the USA Today Admeter. Two Super Bowl Ads with dogs have beaten the mini Darth Vader. Let's see if Volkswagen is coming back to Super Bowl 2012 to try again to reach the top on the 2012 USA Today Facebook Admeter. The Super Bowl XLVI will take place on Sunday, February 5, 2012 in Indianapolis. 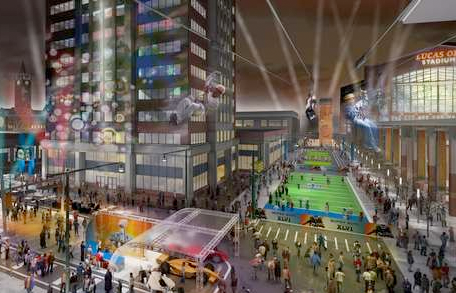 Surrounding the Super Bowl game are special events like the NFL Experience. Produced by the National Football League, the NFL Experience is a Pro football interactive theme park offering participatory games, displays, entertainment attractions, kids' football clinics, free autograph sessions and the largest football memorabilia show ever! Open Friday, January 27 - Saturday, February 4, 2012 at the Indiana Convention Center. The Super Bowl 2012 halftime show will feature Madonna. Her show will be accompanied by Cirque du Soleil and Jamie King. The multimedia experience will be created by the Moment Factory. Founded in 2001, Moment Factory is comprised of a team of 60 artists, technologists and visionaries at its headquarters in Montreal. The company has completed over 300 projects in the field of creative multimedia environments for clients such as Celine Dion, Nine Inch Nails, Cirque du Soleil, Microsoft and Disney. 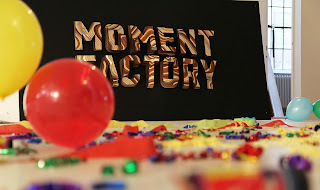 Moment Factory has completed permanent interactive installations in cities like Dubai, Montreal and Las Vegas. USA Today is running the most prestigious Super Bowl Ad ranking. 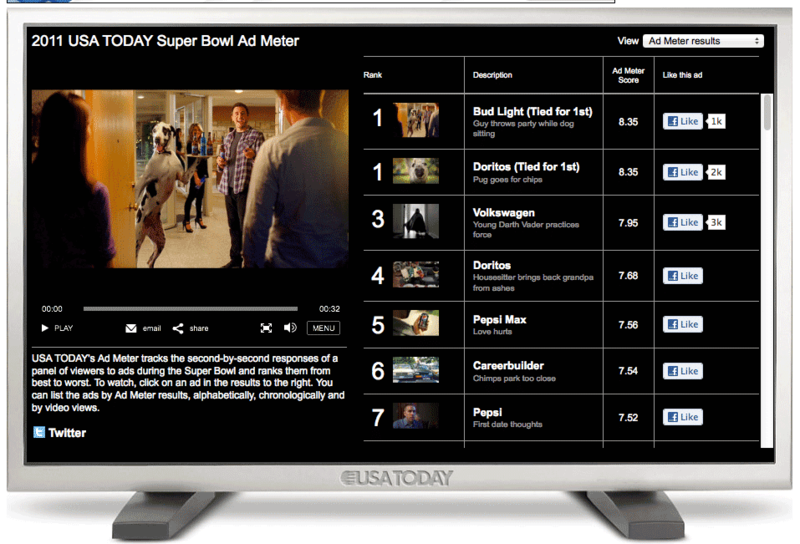 For the 24th USA Today Ad Meter for the Super Bowl 2012, USA Today partners with Facebook. Super Bowl Ad fans will decide the winner of the USA TODAY Facebook Super Bowl Ad Meter. They will be able to view and vote on the Super Bowl 2012 ads and see how other people rank the commercials and share their favorite ads with Facebook friends. The USA TODAY Facebook Super Bowl Ad Meter consumer rating will come in the shape of an app hosted on Facebook and USATODAY.com. The new Facebook enabled Super Bowl Ad meter will be available on both online and via mobile. The Super Bowl 2012 Halftime Show will be performed by Madonna. Madonna's performance will be supported by Cirque du Soleil, Jamie King and multimedia artists from Moment Factory. Hyundai will be back at the Super Bowl XLVI with five Super Bowl commercials. To be exact, only three of these will run during the big game. Two Hyundai ads will be aired during the pre-game. We are officially only counting Super Bowl Ads that run during the actual Super Bowl game. According to the Associated Press on the NY Times, Hyundai plans a 60 second ad that runs right before kickoff. The other two will air during the first and thirds quarter. The Doritos Crash the Super Bowl 2012 contest has closed submissions about a week ago. You can now watch all entries for the Doritos Super Bowl 2012 Ad online at the Crash the Super Bowl site. For the Super Bowl 2012, Doritos has come up with a great new idea. As in the past consumers can create and submit a Doritos Super Bowl ad. Doritos also hired The Lonely Island production company run by the comedians Andy Samberg, Jorma Taccone and Akiva Schaffer. Lonely Island will also produce a Doritos Super Bowl commercial that will be broadcasted along with the best consumer created ads. The price this year is again $1 million in case the user created Super Bowl ad hits #1 on the USA Today Admeter. On top of that the winner gets a chance to work on a future project with The Lonely Island. There are again some super funny ads that got submitted to the Doritos Ad competition. Voting for the five finalist Super Bowl 2012 ads starts January 4th, 2012. Watch the Doritos Crash The Super Bowl 2012 Ad contenders now here.